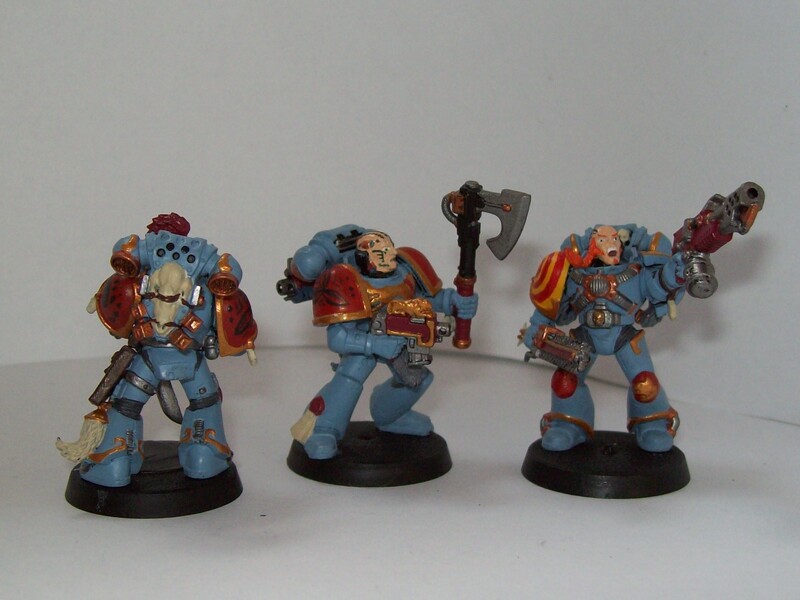 This entry was posted in Blood Claw Pack "Target", painting, Space Wolves pack, Uncategorized and tagged Blood Claws, Citadel Paints, Games Workshop, Grey Hunters, Paint Effects, paints, Space Wolves, Warhammer 40k. Bookmark the permalink. I don’t know exactly how The Fang spray looks (it’s unavailable in The Netherlands unfortunately). Shadow Grey is, according to the Citadel Conversion Chart (http://www.games-workshop.com/MEDIA_CustomProductCatalog/m2320032a_Citadel_Conversion_Chart) (I haven’t checked), the same as The Fang. 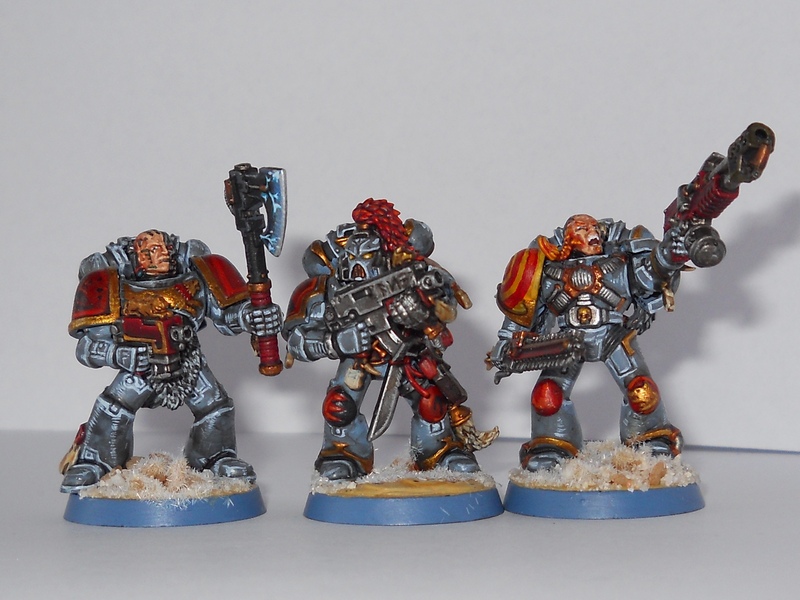 Space Wolf Grey (now Fenrisian Grey) is a much lighter colour. 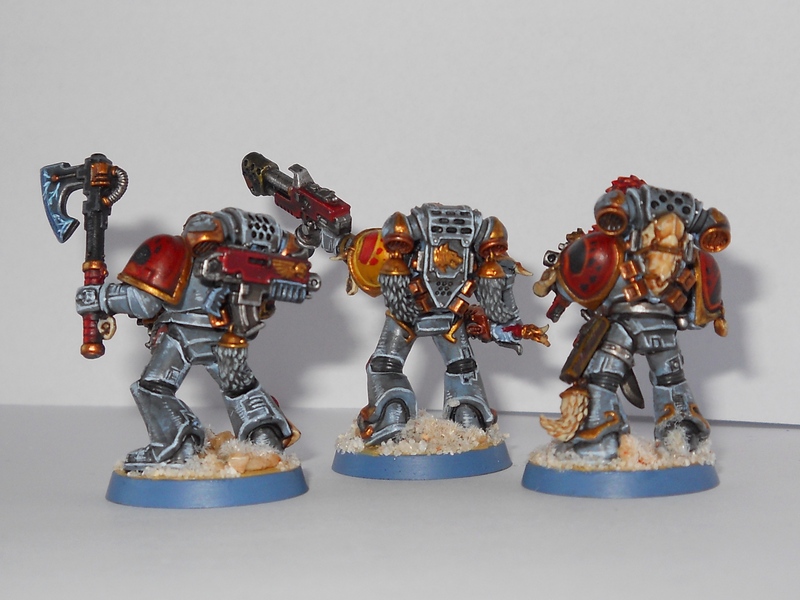 GW have released an intermediate colour called Russ Grey but I have never tried it. They have a Space Wolf painting guide here (http://www.games-workshop.com/gws/catalog/paintChart.jsp?catId=cat820002a&rootCatGameStyle=paints-tools). I’d recommend playing around a little. The new Shades (washes) darken the layer colours considerably so if you haven’t tried them before I’d suggest a test piece. 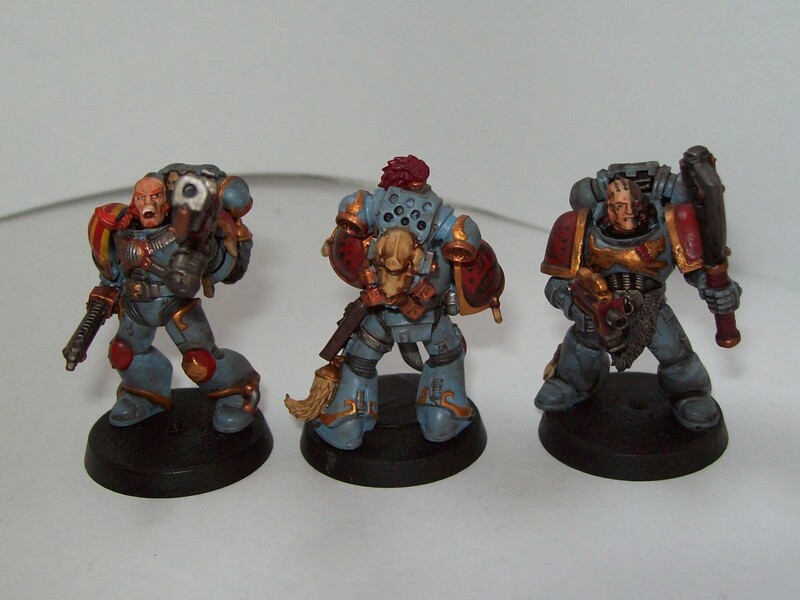 Space Wolves Grey changes a lot with different washes (I like to use it as the first “white” layer in things).